When you are deciding on what product, musical instrument, or accessories you want to buy, the first step (often the unconscious one) is understanding what you will need it for. So, let’s understand why would you need a metronome before taking on an endeavor of deciding which one is the one and only – the best metronome for your practice. Metronome is a device that creates even beats to give you a rhythm or BPM (beats per minute). It usually helps people who are just starting off developing a sense of rhythm and people who are collaborating with other musicians. All you have to do is basically set your desired tempo and practice with it. Metronomes vary in types, prices, and even formats – you can get mechanical, electronic or digital metronomes that you can just look up online or download to your phone. As the name might have indicated to you this model is both a tuner and a metronome. They can be used independently as well as simultaneously to practice your pitch and rhythm. This device detects the pitch of your audio input and shows you the difference between your tone and the reference tone you have indicated on the tuner. It also has tempo range from 30 to 252 BPM. 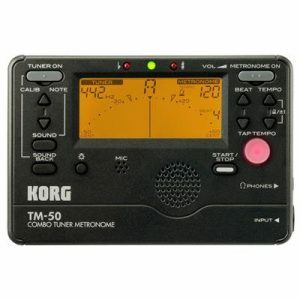 Korg TM50BK Instrument Tuner and Metronome also has a very practical memory backup and auto power off. Great for both wind and vocal/cappella practices this model has a beautiful, modern LCD needle-type meter. It is lightweight and small enough to fit in your pocket. This metronome/tuner comes in black and white colors, has a folding stand for stability and a longer battery life than the previous models. This model looks like one of the little gadgets that kids use in those coming of age adventure movies very characteristical of 80s movies (or you know… 2010s movies that try to imitate them). Although it looks simple to use, almost too much so, it is very functional and practical. 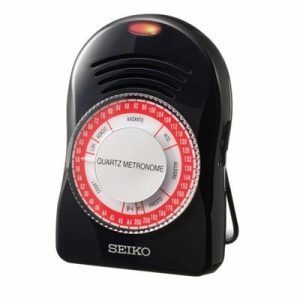 Seiko SQ50-V Quartz Metronome also has volume control, which is a nice feature. You can make it louder for when your neighbors are so loud you can barely hear your own thoughts, let alone a metronome click. Or you can just use headphones because this model has an earphone jack. It has tempo range from 40-208 BPM and a red LED so that you can use both visual beat and click sound for beat-keeping. 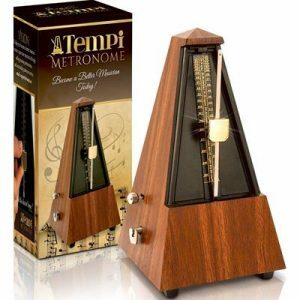 Tempi Metronome for Musicians is a durable, mechanical model with a pendulum and a 40-208 BPM range. It’s definitely not pocket-sized model but, at the same time, you would not have to make a lot of space for it. This is a very affordable model that does look like an old style (in a good way), but of course, it is not going to look as authentic as some 20th-century antique that you got from your grandfather. Nevertheless, this metronome provides most features that you are probably looking for (unless it’s something unrealistic like a wish to become the most famous pianist in under two months… let’s be real). It is great for understanding the rhythm, I have always found that a pendulum is more helpful for me visually than a ticking color. 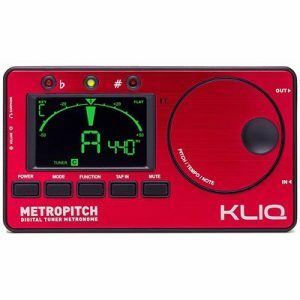 KLIQ MetroPitch is not just a metronome. I am not going to go on a rant about how this is a bigger than life device that will show you a different dimension of music. No, this device is a metronome, tuner and a tone generator all at the same time. 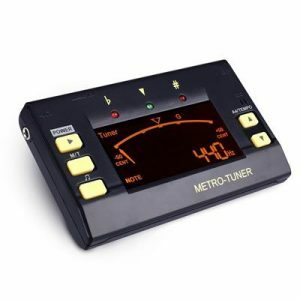 Moreover, it’s metronome, tuner and tone generator that can fit in your pocket! Are you as excited as I am? You might expect that a device that boasts “3 in 1” feature will mostly concentrate on the importance of that feature and put aside the important of how well all of them work together. Alas, all three of the devices are pretty good. The tuner has a range of A0-C8 and a calibration range of 410-450 Hz, it is really easy to use and has preset modes for Guitar, Bass, Violin, and Ukulele. Metronome has a range of 30-250 BPM and various rhythm patterns. An easy to read modern LCD display with LED indicators and high sensitivity built-in mic together make this an amazing product. Like KLIQ model, Mugig Metronome, Digital Tuner, Tone Generator combines three different devices. Moreover, this model it cheaper than the KLIQ one and it is also more modern looking. With large and brighter LCD display, it is easier to monitor the tune of your instrument. This model supports chromatic, guitar, bass, violin, ukulele tuning modes and pitch calibration of 430-450hz. Tempo range is 30-250 BPM and with a headphone jack you will not be disturbing your neighbor or be disturbed by them. It comes with a clip-on pickup so you can tune with that or a built-in mic. 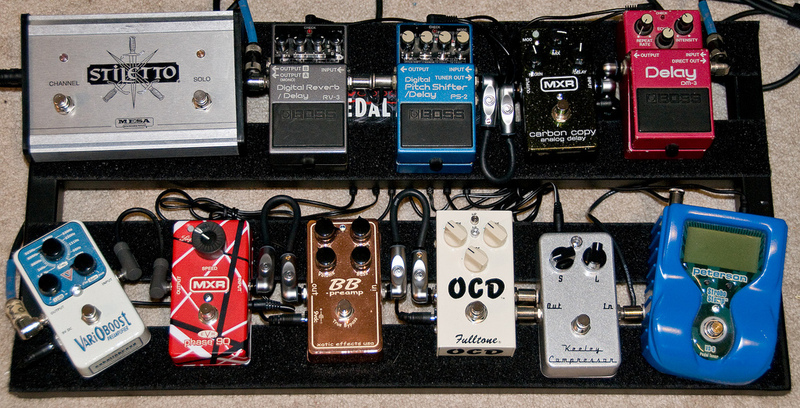 If you are on a budget and really need a metronome… and a tuner… and a tone generator, well you are in luck, my friend. Now, let’s discuss several features of a metronome to help you in deciding which model is the best one for you. Further on, we are going to have a short list of some metronome, so maybe you can find the one you like on that list. First and foremost, keep in mind the size and shape of the metronome. Ranging from a pocket-sized ones to decorative triangular and wooden metronomes, you can have your pick. So, if you are sharing a 15x15ft room with two other people I would probably say go with a smaller one. A lot of people who have been playing for years and have a penny or two to spare choose wooden metronomes because… let’s be honest, they look cool. But if you are just a beginner or do not want to go around spending money on something you can get for really cheap (or even for free) you will probably go for something less pricey. Display – another vital feature that should not be overlooked. With mechanical metronomes, you usually get pendulums which give you the rhythm. Then there are digital/electronic ones that usually use batteries and have displays. These type of metronomes often also have tuner functions and are cheaper and smaller in size. Whether you are looking for the best metronome for piano, guitar, or any other instruments you should always keep in mind not only what the bestsellers are but also what your needs are. Take into consideration your learning style and techniques and move from there. If you are a practical person and do not need a posh mechanical metronome with a pendulum to show it off to your guest, who will probably be really bored to death from your rambling about musical instruments, you should go for a smaller one. Smaller and cheaper metronomes are not necessarily lacking in functionality. There are a lot of metronomes that also have tuning options (KLIQ MetroPitch is a great example). Either way, I hope the list of some of the details to look at when choosing your metronome as well as the five models we have up here will be helpful to you.